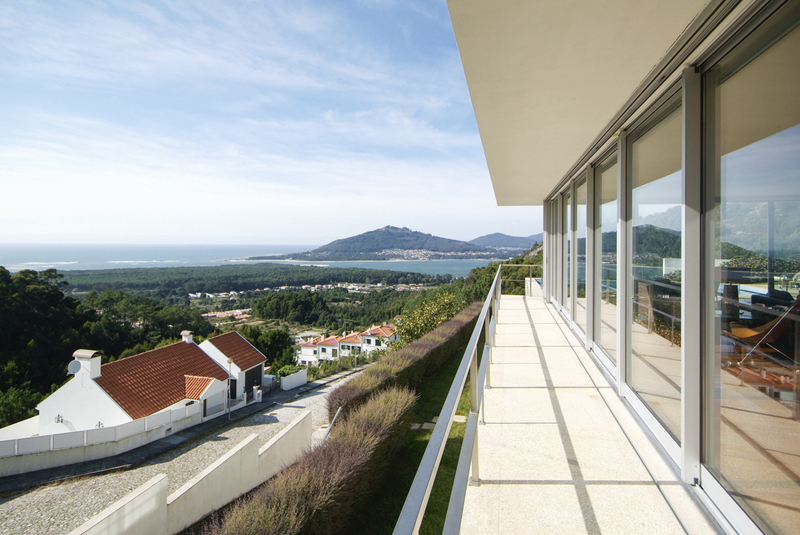 Both sea and river views can be enjoyed from the elevated setting of Casa Cristelo, with this stylish villa being situated close to where the Minho River meets the ocean and the sandy beaches of northern Portugal's Caminha area. 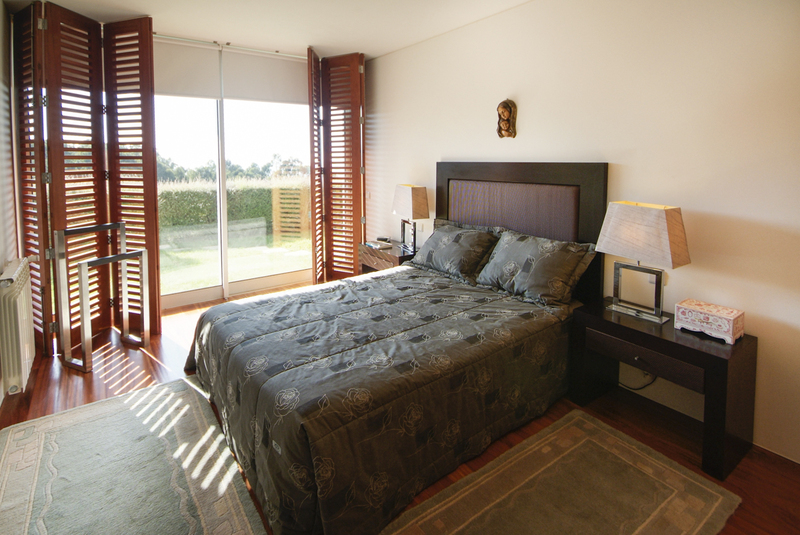 The villa is sleek and contemporary in design, with light, spacious rooms that offer spectacular vistas out across the surrounding hills and river with large windows and doors leading out onto the outside space. 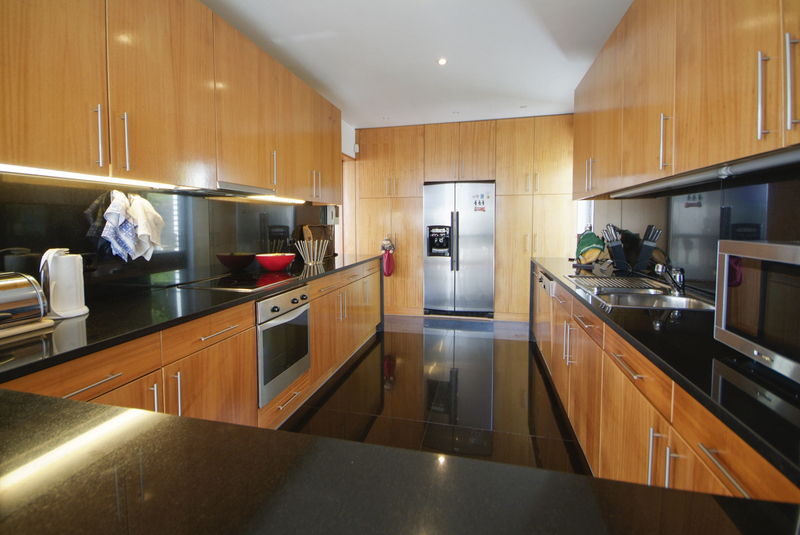 On the lower floor are three double bedrooms, with two having an ensuite bathroom. 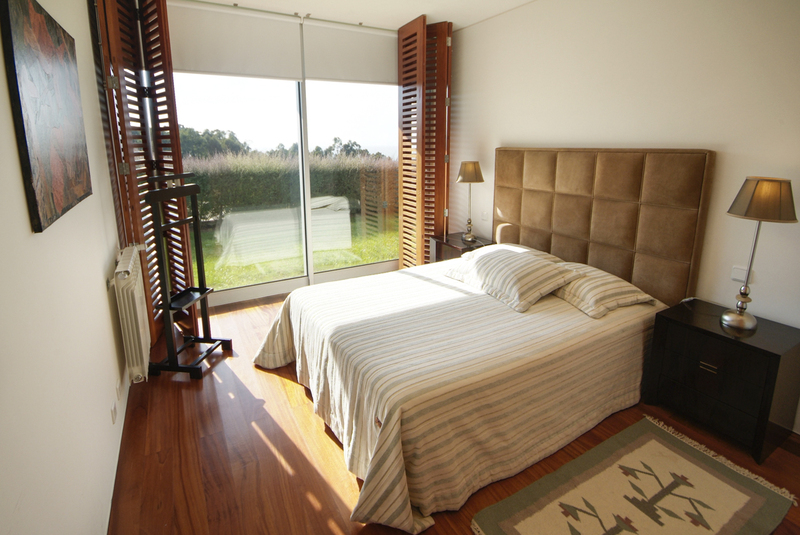 There's also a twin bedroom as well as a well-equipped bathroom. 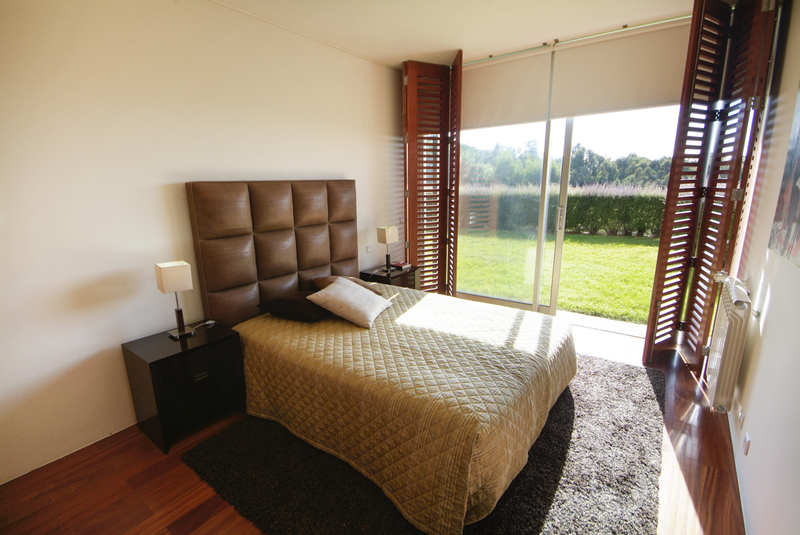 All of the bedrooms have access to the lawned front garden via patio doors. 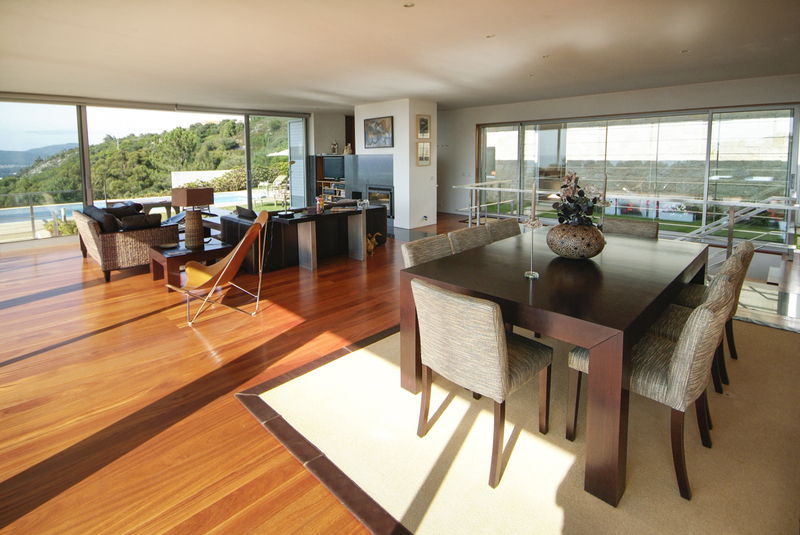 The upper floor features a huge living/dining area with doors along the entire length of the villa. 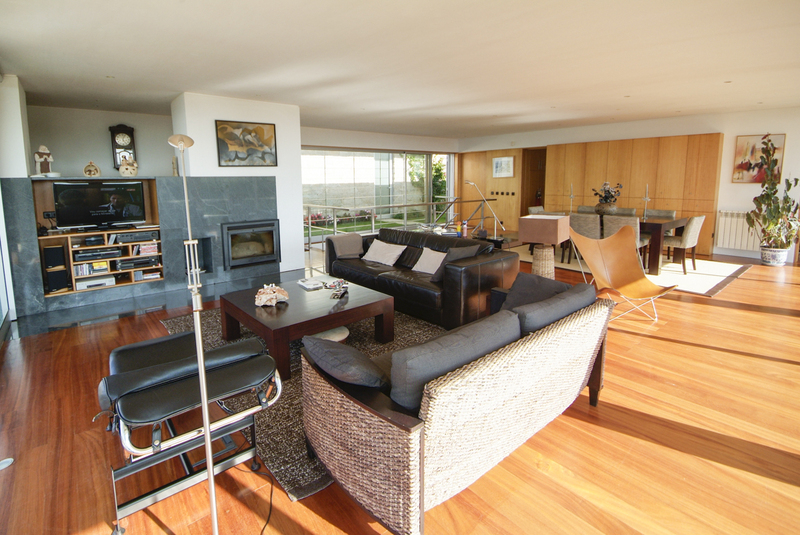 An area of comfortable sofas and armchairs with television and DVD player is the perfect place for socialising or enjoying a drink before dinner is served. The elegant dining table and chairs seats up to eight people and has direct access to the fully fitted kitchen with breakfast bar and doors that open onto a barbecue terrace with table and chairs. 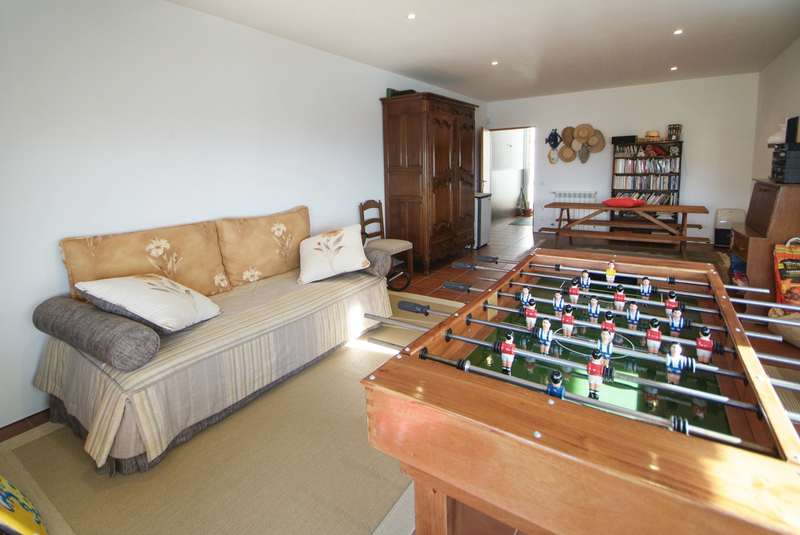 A separate cottage has a games room with football table, picnic table for quick bites and a double sofa bed that sleeps two children or one adult. A shower room is convenient for guests using this space as well as for those wanting to refresh after a dip in the pool. 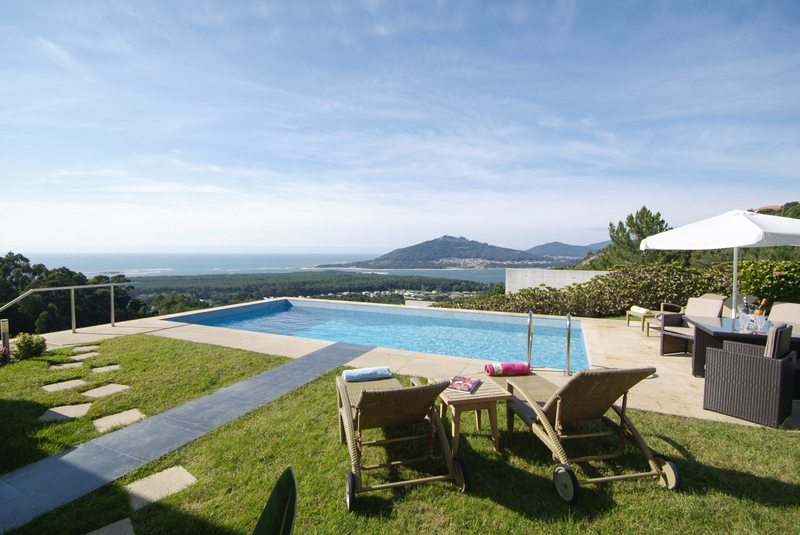 The outside space features a mature garden, lawn with football goal and basketball hoop, large private swimming pool and surrounding terraces with sun loungers and seating areas. 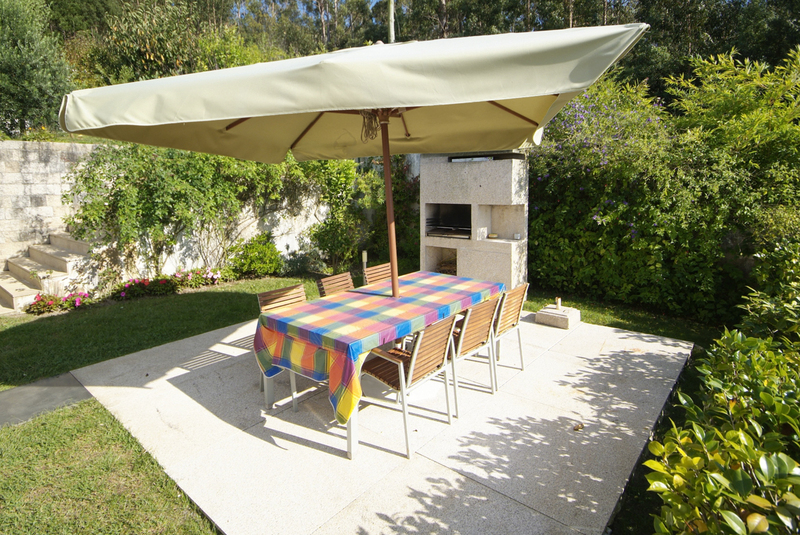 A barbecue area has outdoor furniture ideal for enjoying lunches and dinners al fresco. 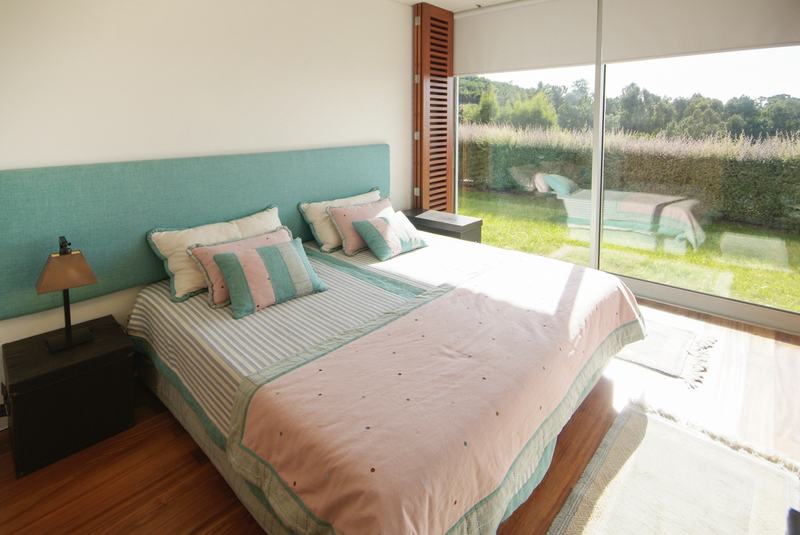 There's plenty of space for the whole family to relax and soak up the panoramic views of the sea and the Minho River. Amenities such as a minimarket are within walking distance of the villa but for bars, restaurants and cafes you'll need to head to Caminha. This quaint resort town is a 5-minute drive from the villa and also gives you access to several sandy beaches that sit along the Costa Verde. Just a short drive from the historical centre is the river beach, Foz do Minho. Here you can take advantage of the strong waves and winds and go surfing on the ocean or take a kayak down the calmer waters of the Minho River. Pine forests are perfect for long walks and taking in the natural beauty of the area, as are the promenades that you can cycle along. Back into the centre of Caminha, there are many sights to admire, including the medieval clock tower that sits within the town's bustling main square. The 16th century fountain at the heart of the square provides an attractive focal point and the cafe terraces surrounding it are a great place to relax with a coffee and a pastry. There's a weekly market where you can pick up a variety of goods, including local pottery, food, tapestries and jewellery. 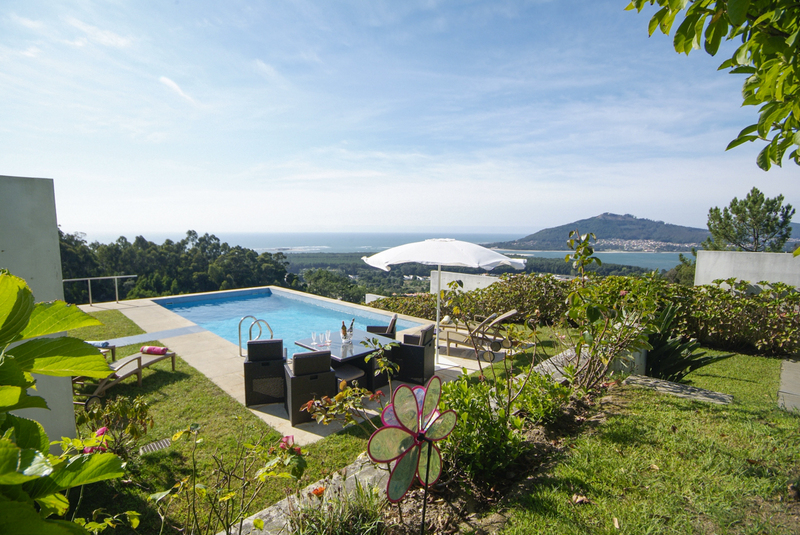 Approximately 25 km south of the villa is the beautiful town of Viana do Castelo. Take a self-guided walking tour to take in the architecture that spans several centuries of style. Make sure you visit the hilltop Basilica of Santa Luzia and Igreja da Misericórdia, a 16th century-church with Baroque modifications. The water front is a particularly nice place to walk down and appreciate the natural beauty of the Lima River.